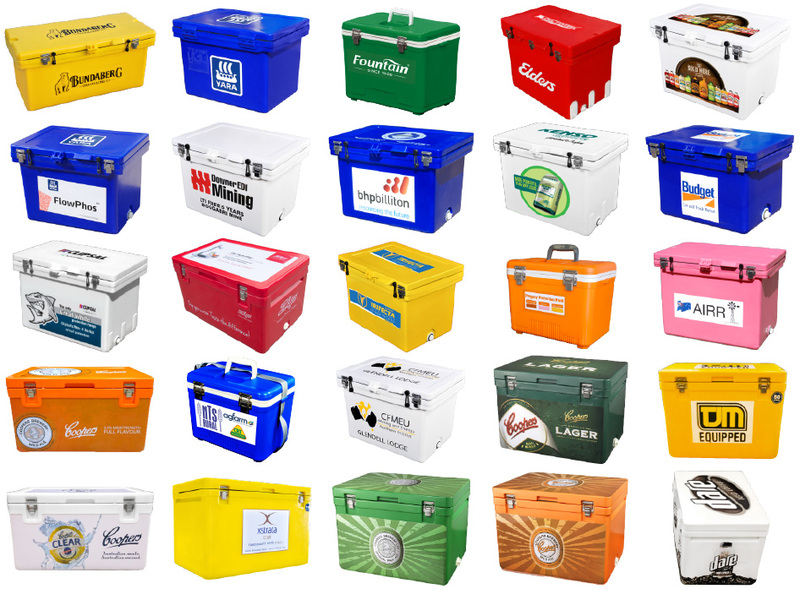 Techniice currently carry the largest range of ice boxes in the Southern Hemisphere!! and is Australia’s No 1 Rated, No 1 Selling, Tested, Proven and Preferred Brand. Techniice can custom Brand these ice boxes with your choice of design , colour & sizes. Techniice are a one Stop Solution for your Promotions, with an In-house Graphic design team , Techniice can also assist you with designs & Marketing Material for your promotion. Techniice offer end to end Logistics including warehousing and distribution delivering the merchandise to your offices / Stores or even individual customers / Staff around the country. With such a wide range of products you can be rest assured that we have tailor made promotional merchandise solution that will suit your requirement. Another cost effective solution techniice also offer are promotional High performance promotional cooler bags. These make great lunch , BYO , BBQ and Beach coolers. The New cooler bags have trible thickness insulated walls and lids compared to regular cooler bag and High quality insulation and make a useful staff or customer incentive which people can really use in their day to day life. Techniice promotional Merchandise can even be sold at a discounted price to your patrons which will allow you to make a profit while also benefiting your company's marketing campaign. If Your Company is at a trade Fair These Iceboxes or Cooler bags can draw in potential customers and they can be given away as promotional prizes at the end of the fair and to contain your Brochures and products samples. Techniice only offer the products that are rewarded as the best in the market and stand by the quality of the product all Techniice promotional merchandise come with replacement warranty, You can be rest assured that you are putting your brand on a Quality product and you are giving your customers and staff a quality product which comes with great aftersales service and reflects the quality of your company. These Iceboxes are durable and will withstand years of use and wear and tear thereby promoting your company message for years . When given out as staff incentives, promotional ice boxes will actually improve moral and loyalty because they are an actual useful product unlike traditional promotional trinkets such as pens and mugs. Techniice offer several solutions for branding including permanent graphic printing, High quality Stickers , Rubber Logos etc. 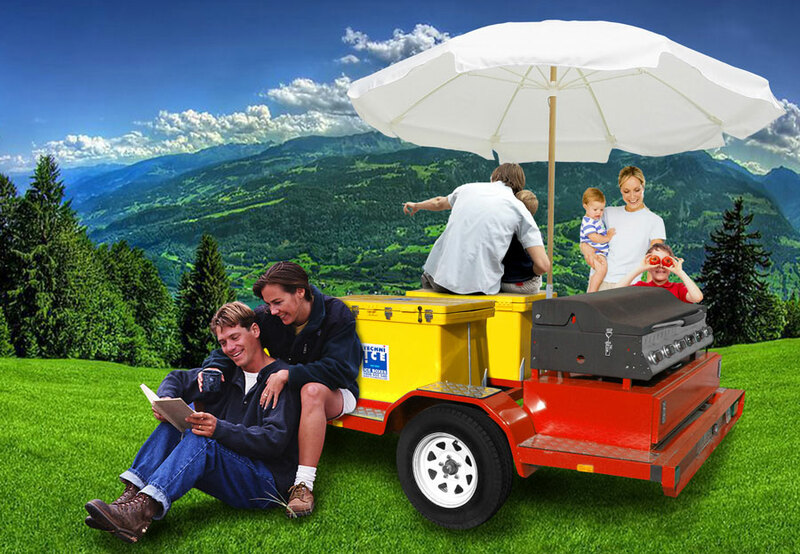 to ensure these mobile billboards for your business work a treat. 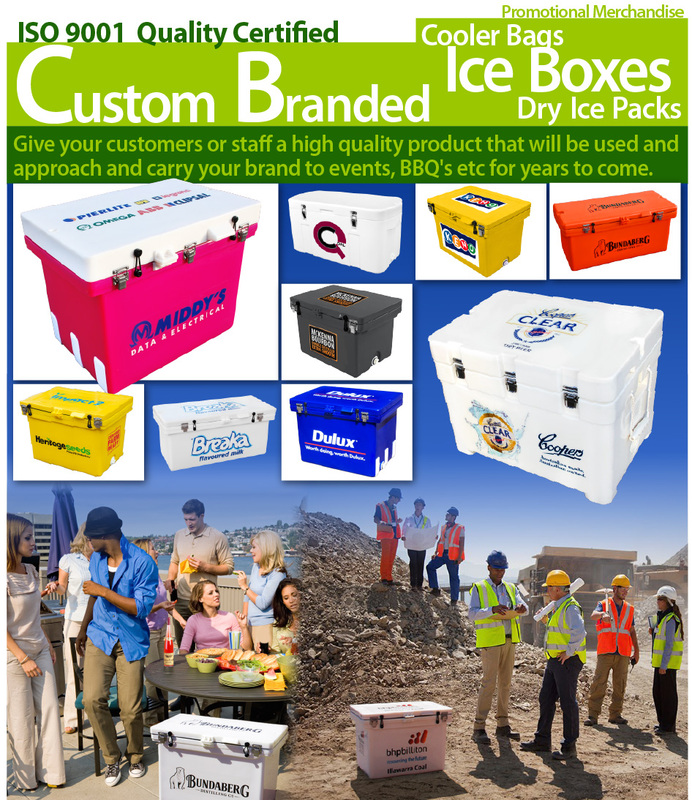 We also offer Promotional Dry Ice Gel Packs, Tool Boxes, BBQ Trailers, Drink Dispensers & other Camping Gear. So Look No Further , Just email us your Company logo with your requirement so we can offer your tailor a Cost effective Promotional Solutions which have great visual appeal and endless potential.